Organic foods have seen an absolute explosion in popularity over the past few years. More people are caring what goes into what they eat and where it comes from. When it comes to distilled spirits, many of these same environmentally-conscious people drink vodka made from the same industrial neutral grain spirit manufactured by ADM. While not every distillery has the capacity to ferment their grains themselves to make vodka, places like Organic Nation are sourcing their neutral grain base spirits from organic and environmentally-sensitive sources. Based in Ashland, Oregon, Organic Nation is a great example of a mico-distillery doing something unique and blazing a trail for the industry. Organic Nation produces two distilled spirits, Organic Nation Vodka and Organic Nation Gin. Of the two, we really fell in love with the Organic Nation Gin, one of our favorite balanced mixing gins. Organic Nation Vodka (80 proof) – As with many vodkas, the nose on the Organic Nation was pretty light with a slightly soft smell, although a little more vaopry than we like. The entry is soft that expands with a small amount of heat. There’s the slightest hint of grain and confectioner’s sugar but fairly muted. The heat increases on the finish and we noticed some burning towards the front of the mouth. It ultimately dries out but takes a while and leaves you with a small cooling effect. 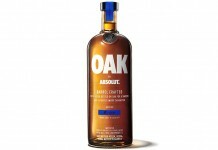 Not a bad vodka by any means but neither flavorful nor clean enough to get extremely excited about. Organic Nation Gin (86 proof) – While we weren’t head-over-heels for Organic Nation’s Vodka, we did absolutely fall for the Organic Nation Gin. The nose on Organic Nation Gin is very soft with notes of pine, pepper and lemon. The entry is very sweet with a symphony of grapefruit peel, orange rind, lemon, pine, pepper, anise, cardamom, and mint. The taste is well balanced among all the elements with room for each to really shine. It has a nice flavorful finish that’s more citrus than herbal and leaves the mouth very cool. Organic Nation’s Gin is simply delicious, with a perfect mix of flavors that are ideal for mixing in cocktails or to stand out well in a gin and tonic. 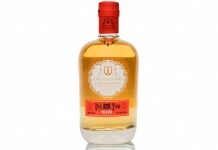 Very Highly Recommended – a great gin that’s perfect for mixing; definitely worth seeking out. Organic Nation Gin has earned a permanent spot in the Drink Spirits liquor cabinet. We’d love to see Organic Nation take their vodka to the next level and explore in-distillery fermentation. The skill in distilling is there and we’d love to see them do something like Dry Fly does with their vodka.